at (888) 498-3484, option 3. It’s that time of the year to talk about seasonal flu. And yes, I know what you’re probably thinking — isn’t it a bit late to address flu immunization campaigns at this point in November? Not really. In the United States, though influenza activity often begins to increase in October and November, it is sporadic with only some states reporting either local or regional activity at most, and usually not at high severity levels. Most of the time, seasonal flu activity peaks between December and February, and can last as late as May. Though US CDC (Centers for Disease Control and Prevention) recommends that people get a flu vaccine by the end of October, CDC also states that getting vaccinated later can still be beneficial. Further, CDC recommends ongoing flu vaccination as long as influenza viruses are circulating, even into January or later. Unfortunately, most flu immunization campaign efforts peak during October and slow to a trickle by end of November. CDC’s estimated flu vaccination tracking data over the past few years confirms that between 77-78% of flu vaccinations are done by the end of November. 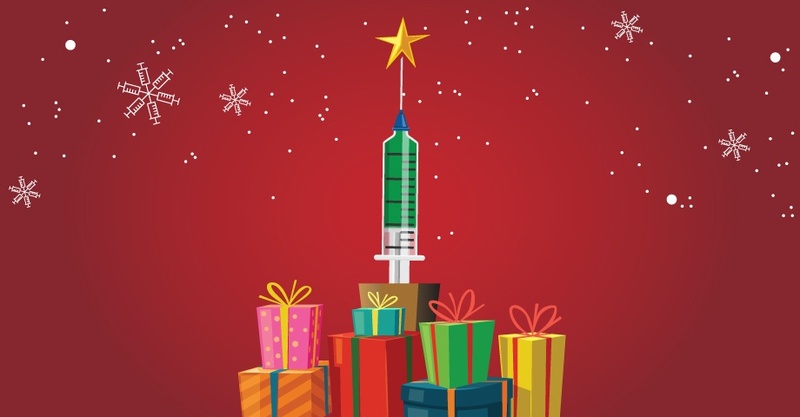 Another push of seasonal flu immunization campaigns between the US holidays of Thanksgiving and Christmas could be beneficial as adult (18 years and older) seasonal flu vaccination rates hover annually at only 40% for the past several years. Further, estimates from the 2017-2018 flu season data show that the annual adult season flu vaccination rate was well below the US Healthy People 2020 annual target of 70% for adults (18 years and older). Combining the data for the age ranges of 18-49 with 50-64, an overall flu vaccination rate average for working age adults (18 to 64) is 31.1%, based on the CDC 2017-2018 data. Surely, workplaces can do better than this, and there are a number of good reasons for employers to aim higher. Seasonal influenza is associated with large numbers of respiratory illnesses, which can impact school attendance, worker absenteeism, and daily productivity. Seasonal influenza is responsible for a large disease and economic burden. A recent paper in Vaccine estimates the average annual total economic burden in the U.S. at $3.2 billion (range from $1.5-11.7 billion) in direct healthcare costs and $11.2 billion (range from $6.3-25.3 billion) when indirect cost of lost productivity is included. Interestingly, the largest portion of the total (direct and indirect) cost of influenza (57.8% or $6.5 billion) is related to working-aged adults (18-64). The results of CDC’s annual burden estimates demonstrate the substantial health impact of influenza and underscore the need to ensure vaccination of all people aged 6 months and older. Last year’s influenza activity in the US reinforces these points. Influenza activity in the United States during the 2017-2018 season had high severity with unusually high levels of outpatient influenza-like illness, hospitalization rates, and proportions of pneumonia and influenza-associated deaths. CDC estimates that the burden of illness during the 2017-2018 season was also high with 48.8 million people getting sick with influenza, 22.7 million people going to a health care provider, 959,000 hospitalizations, and 79,400 deaths from influenza. The number of cases of influenza-associated illness that occurred last season was the highest since the 2009 H1N1 pandemic, when an estimated 60 million people were sick with influenza. These new estimates emphasize the seriousness and severity of flu illness and serve as a strong reminder of the importance of flu vaccination. CDC recommends two strategies for businesses and employers to help fight the flu. Strategy 1: Host flu vaccination clinics in the workplace. Strategy 2: Promote flu vaccination in the community. Make sure your employees know where they and their families can get seasonal flu vaccines in their community. The HealthMap Vaccine Finder helps you to locate where you can get a flu vaccine. So, to address strategy 1, let me close by prescribing to you an electronic solution to streamline vaccine administration and simplify the management of the clinical documentation necessary for each vaccination administered in an on-site mass immunization campaign. Enterprise Health has an Injection and Immunization Module which makes administering and documenting a high-volume influenza vaccination program an efficient, effective, and relatively painless process for both employee participants and the health professionals performing the vaccinations. Vaccine administration and documentation tasks are all visible on one screen for review and completion (e.g. name of person being vaccinated; contraindications and precautions for the vaccine; vaccination date; vaccine type; lot number; manufacturer; patient receipt of VIS – including edition date and date VIS provided; injection site; vaccination route; dosage; and name of who administered the vaccination). Now go get your flu shot if you haven’t done so already. Remember — it’s not too late — and it’s not too early to begin investigating the role Enterprise Health can play in streamlining next year’s flu program. Want more ongoing information regarding seasonal influenza? In an effort to standardize the process of holding clinics in non-traditional settings, the National Adult and Influenza Immunization Summit developed tools your organization can use when organizing satellite, temporary, or off-site vaccination clinics. You can access these resources at izsummitpartners.org under Tools to Assist Satellite, Temporary, and Off-Site Vaccination Clinics. NOTE: This toolkit includes a checklist which summarizes best practices for vaccination clinics held outside of a standard clinical setting. thirsty for better employee health? would like more information on a specific topic — just let us know. 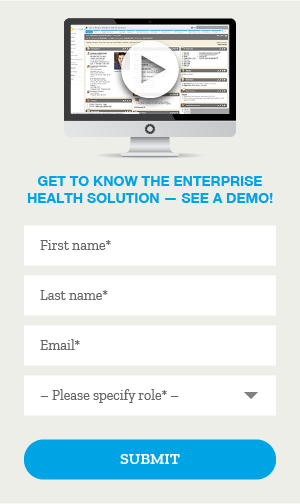 Better employee health, better business health — better Enterprise Health.